Maybe I went too far using the same jars for decorations in my home this year but I just can’t get enough of how lovely they look! 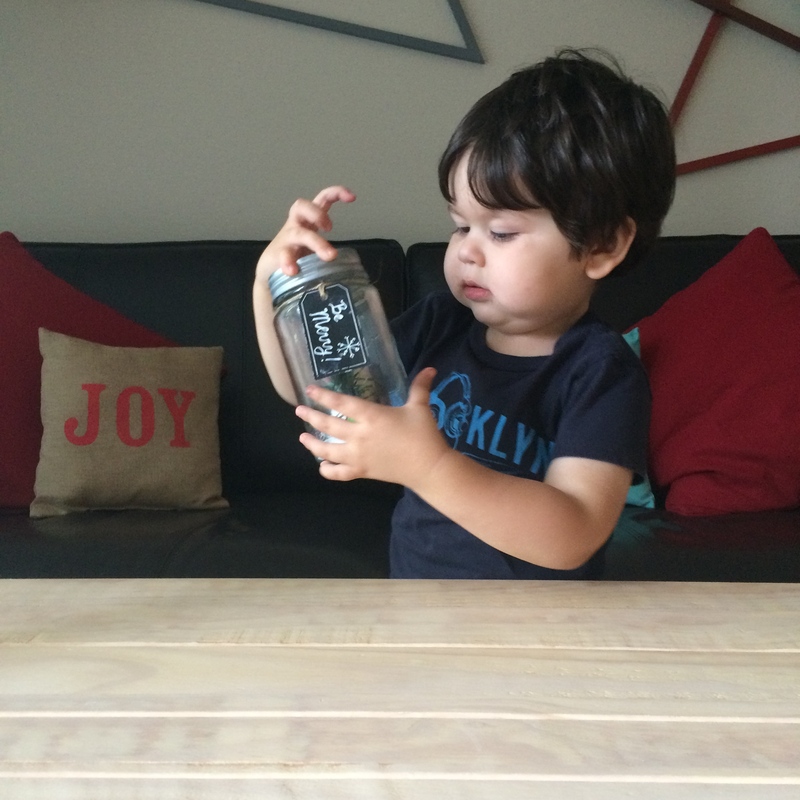 You’ve already seen how I used it for Halloween and for Thanksgiving… But this time, I decided to try using the jar in a craft project with Marco. We used, of course… a jar, sea salt, a small plastic pine branch that I cut it from our plastic christmas tree with some play dough on the base, a snowman candle that I had from previous years and one of the chalkboard tags with a new message: Be Merry! * (This time I used a white Sakura Gelly Roll to write the message). 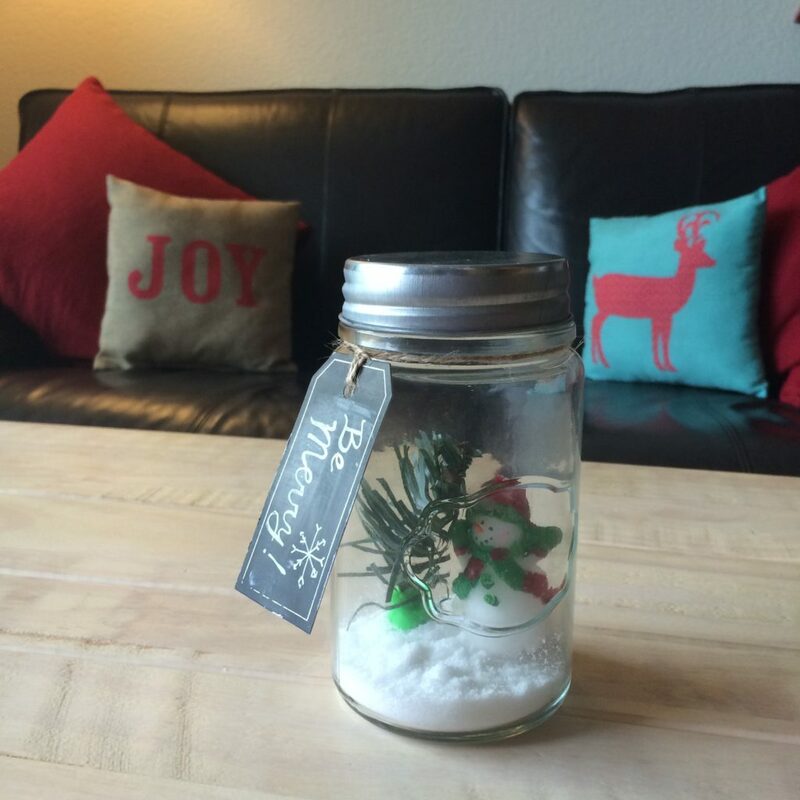 This jar project was fun, cute and easy to do. You just put all the elements inside and close the lid. The only issue is that I don’t know how much time it will last on our coffee table since this little toddler grabs it anytime he goes by the table and start shaking it constantly! Anyway, it was fun! PS: I’d love to know about your DIY christmas decorations! The season is just starting!